Toddler Fun Fair Park Rentals | BounceGeeks.com Richmond, VA.
A fair themed play park for toddlers! 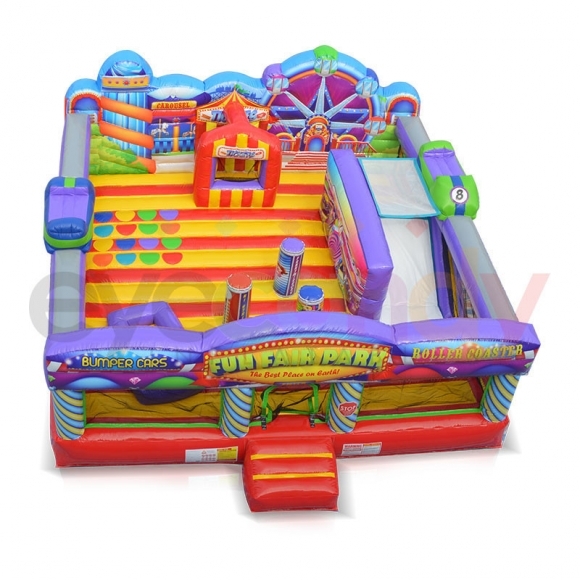 This toddler fun fair park inflatable is a great choice for the little ones. Fantastic graphics really make this look awesome, with bumper cars and there is even a ferris wheel at the back! They will have a blast climbing through and over the obstacles, up and down the small slide. This is an amazing inflatable for your toddler's birthday or for any event!